Flip to Allegheny College, Meadville, PA, circa 1870. Unusual for its architectural features, the castellated gymnasium building quickly became a center of student social and recreational activities. 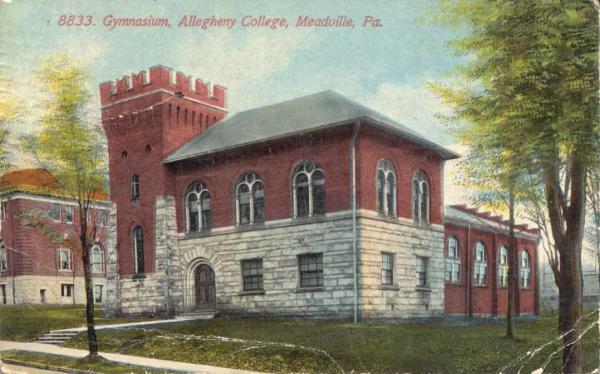 Like many colleges, Allegheny students participated in the early twentieth century enthusiasm for athletic competition as the counterpart to more formal academic studies.